China’s e-commerce market is the largest in the world and is continuously increasing. 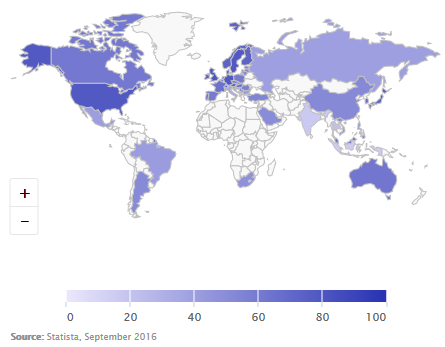 The revenue in the market amounts to US$ 470 billion in 2017 and is expected to reach a volume of US$ 839 billion in 2021 according to Statista. Fashion remains the largest segment in the market with US$ 159 billion, foreseen to result in US$ 285.3 billion in 2021, followed by Electronics & Media as well as Toys, Hobby & DIY. 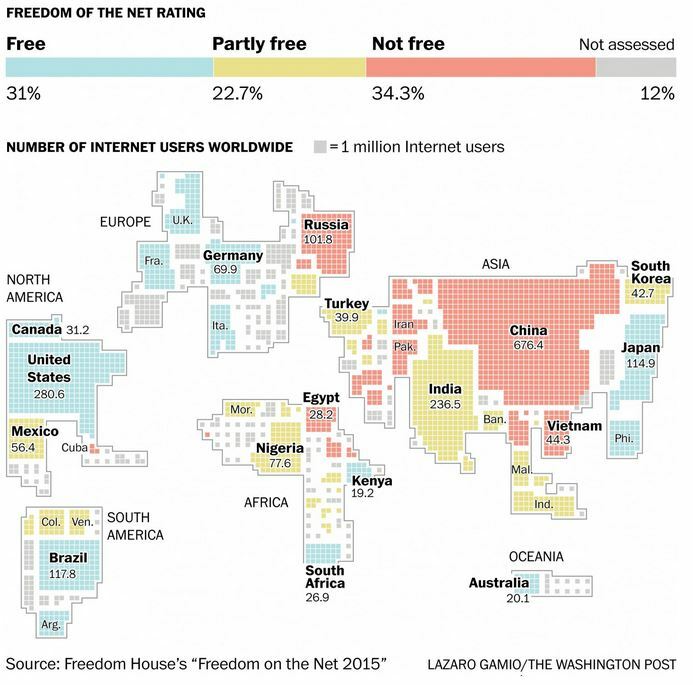 While China is the number one country worldwide with regards to revenue – leaving behind the United States with a revenue of US$ 353.6 billion – the report shows Internet penetration in China is only at 52.1 percent. Compared to the US (78.3%) this implies an enormous potential for growth. Predictions say China will hit 73.5% in 2021, jumping from 588.5 million users to 843.9 million. Taobao, founded by Alibaba Group, is an online e-commerce marketplace which facilitates C2C (consumer-to-consumer) retail. It provides a platform for small businesses and individual entrepreneurs to open online retail stores that cater to consumers in China Mainland, Hong Kong, Macau, Taiwan, and abroad. Sellers can post goods for sale or resale on Taobao either through a fixed price or by auction. Buyers can assess merchant backgrounds by information available on the site, including ratings and reviews. Tmall spun off from Taobao, is a website for B2C (business-to-consumer) online retail, also owned by Alibaba Group. It is a platform for local Chinese as well as international businesses to sell brand name goods. Alipay, an online payment platform (owned by Alibaba Group), is the preferred payment solution for transactions on Tmall. Alibaba, making its sales from Taobao, Tmall as well as a group-buying service called Juhuasuan, amounted to 2.95 trillion yuan, remaining the top leader with over 50% share in the market, according to CaixinGlobal. 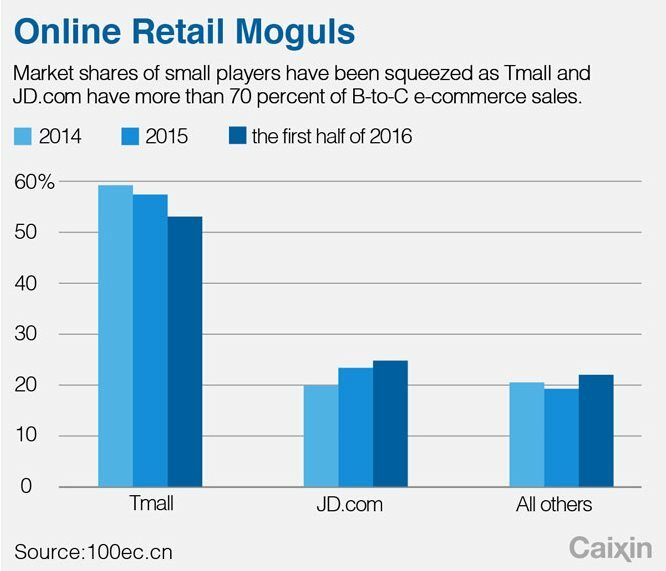 However, Jingdong Mall (JD.com), a major competitor to Alibaba’s Tmall, also a Chinese e-commerce company operating in the B2C sector, is expanding fast. In 2014, Tencent Holdings acquired a 15 % stake in JD.com and integrated the popular WeChat and QQ mobile messaging service that also allows online payments. Additionally, Yihaodian – online retailer of food and beverages owned by the American retail giant Walmart – recently was sold to JD.com. Jingdong’s total sales value increased by 47% from March to June last year, compared to Alibaba’s rising 24%, as additionally stated by the Chinese financial media group. Since much Chinese bypassed the PC era, e-commerce in the country is primarily mobile – wherefrom growth in the sector is driven. According to Nielsen, the number of consumers who are using mobiles to make purchases online has rapidly grown – everywhere in China. In rural areas, online shopping penetration increased by 41% from 2013 to 2014, whereas in urban areas it was 16% of growth. As Forbes reported, China has over one billion smartphone users, and almost 90% have bought goods via a mobile phone. 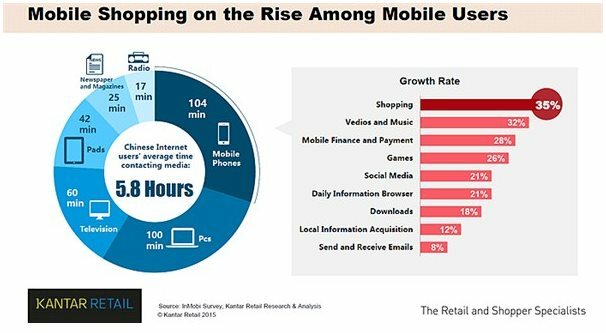 According to Kantar, Chinese people mostly use the mobile among the devices used for accessing the Internet and shopping is the most popular activity on the phones with a growth rate of 35%. This combination is powerful with regards to e-commerce. Chinese users visit the social and digital media platforms Baidu, Alibaba, Tencent, and Sina primarily. 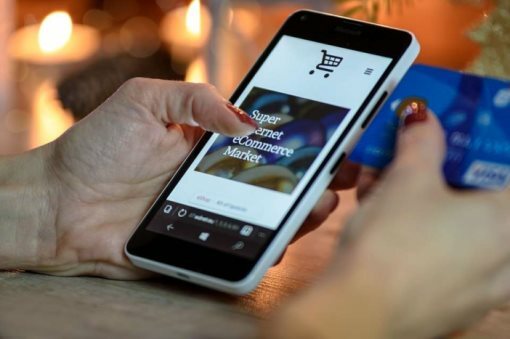 The increase in e-commerce closely linked to social networking leads to a new concept, called ‘Social-Commerce,’ as Kantar Media reported recently. Traditional e-commerce includes social features such as Taobao who launched Weitao (微淘), a mobile app making communication between users more interactive and user-friendly; and on the other hand, social platforms are integrating e-commerce, as for instance, Little Red Book (小红书) which combined social sharing features and online shopping. Furthermore, with new separate categories developing – such as Xianyu, serving Second Hand Sales – another number of business opportunities are developing. Also, highly influential, thus crucial for brands in a competitive environment are KOLs (Key Opinion Leaders) in the Chinese Internet market as they can impact their fans’ buying decisions. Kantar Media explained a segmentation of three groups: celebrities, experts, and Wang Hong – internet celebrities. The Chinese e-commerce market, as it has immense potential, attracts foreign manufacturers and retailers. For instance, Macy’s – the American retailer – announced to launch an e-commerce site in China in 2017, according to Forbes. However, always important to consider are the different market circumstances as well as different consumer behavior. Analysis and research are crucial to fully understand the shopping and consumption needs as well as the Chinese regulations. Foreign companies, operating in China as distributors of online content or services, are significantly impacted by the new restrictions released in 2016, which do not allow cooperations to publish online content without government approval, as stated by the New York Times. 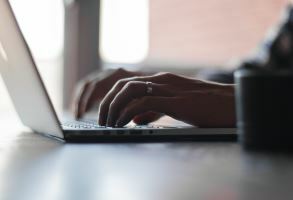 The U.S. government already officially declared the giant mechanism of Internet censorship – blocking thousands of websites – as a barrier to trade, according to the Washington Post. With the development of technology and the growth of the Internet, it has provided consumers from all over the world the ability to buy a product and services that may be unavailable or expensive in the home countries from internet based platforms; also known as cross-border e-commerce. Young, wealthy Chinese favor Western brands. Research has shown, 94 % of the young urbanites interviewed perceive foreign products as “meaningfully better, slightly better or similar” quality compared to local ones. A significant growth of about 30% cross-border e-commerce imports into China in 2016 reached CNY 1.25 trillion and have a similar growth expectancy in the year 2017, according to iResearch. Categories, where Chinese consumers perceive the products, compared to domestic ones, as safer, healthier and higher valued concerning quality, will be the primary drivers of growth. There has been a strong demand for goods such as cosmetics, skin care products, electronics, maternal, baby products, clothes, shoes, accessories, jewelry, food, and other commodities which are undermining trust and pushing consumers towards overseas brands. Bain and Kantar Worldpanel’s research found most personal care, home care, and packaged food categories having a high growth rate in e-commerce, while hypermarkets, supermarkets as well as mini-stores experienced a drop in the urban FMCG (fast-moving-consumer-goods) market. Hypermarkets, which redefined China’s retailing environment over the past decade, registered their first-ever decline in 2015, losing 0.2% value, as stated by Bain & Company. Furthermore, Nielsen research shows, that spending per purchase is 176% higher when Chinese online shoppers buy international instead of domestic products. 25% of consumers buying from overseas spend CNY 1,000 – 3,000, and 11 out of 100 spend more than CNY 5,000. Thus, cross-border e-commerce creates enormous and new business potentials for foreign brands to enter the market and find new growth opportunities. However, despite the decreased risk of having no need of a physical store, it still forms new challenges of global pricing. Bain & Company reports that the rise in imports leads savvy Chinese consumers to discover price arbitrage.